Pousada Jangadas is ideally located on Águas Belas Beach, with its natural pools and coral reefs. It offers an on-site restaurant and an outdoor pool surrounded by a garden. 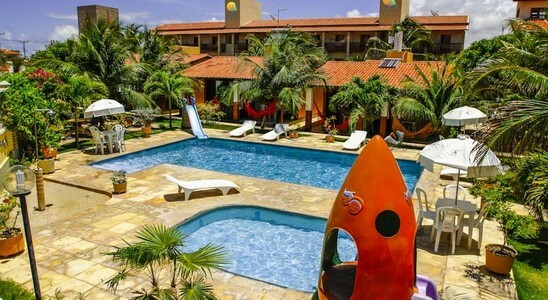 Pousada Jangadas do Caponga provides chalets and apartments, all air conditioned and equipped with minibars. Each has a seating area with a TV set. Guests can relax in the hotel’s garden, play football at its sports court or have fun in the games room. 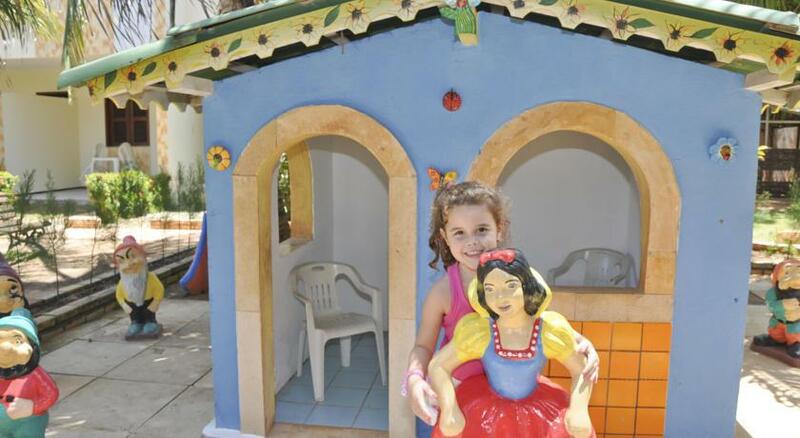 For children, there is a playground, a kids’ pool and a mini-zoo. Buffet breakfast is served each morning. The á la carte restaurant at Jangadas Do Caponga offers a variety of fish fillets, meat and shellfish. Guests can also enjoy a drink from the hotel’s bar.